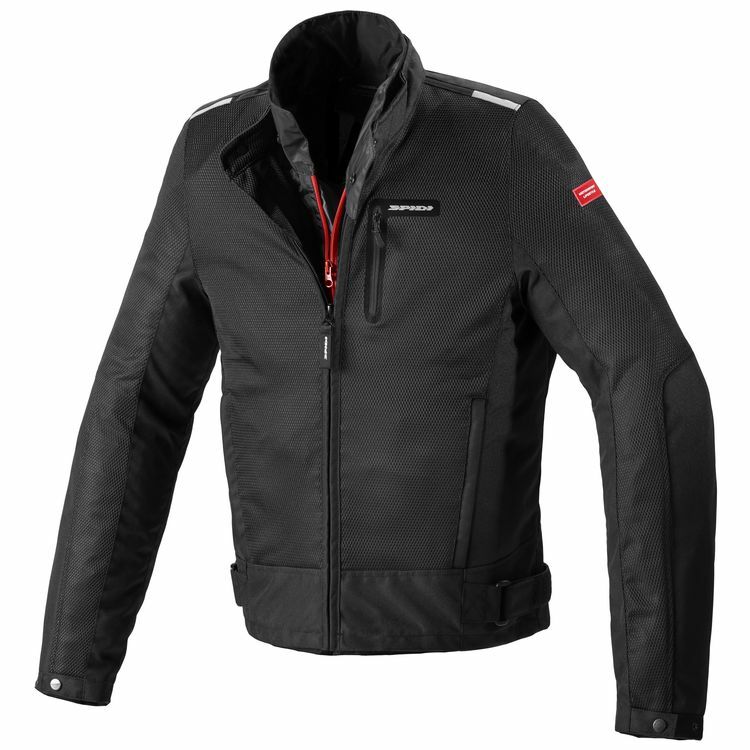 The SPIDI Solar Net Jacket is designed to keep riders protected in warmer weather. The Solar Net includes Warrior Lite armor in the shoulders and elbows. The chest, back and arms are constructed from mesh panels that offer excellent airflow while still providing abrasion resistance. In case of summer rain showers, the Spidi Solar Net WP Jacket includes a removable waterproof liner that can be worn separately. A clip is included to keep the jacket attached to jeans, and there are reflective zones for night riding safety. The jacket has three external pockets and adjustable waist tabs allow you to customize your fit.